In the last episode, Whoopi Goldberg guest stars in a show where a child abuse ring is set in place and there are a lot players that are high up in the city. In this week’s episode titled ‘Community Policing’, the show touches on yet another sensitive subject that exists in the world today as it’s ripped from the headlines when a white cop shoots an unarmed black man and it raises the fight of racism in America. In this week’s episode, titled ‘Maternal Instincts’, Rollins’s sister returns and she has to make a decision to either help her get away or help her catch her. Once again Rollins is stuck between a rock and a hard place with her sister and with her being pregnant it’s even harder for her to walk away. The squad gets a new sergeant in Dodd’s son, much to Rollins dismay because that is what she wanted. Guess she will have to focus on her kid. Which may be good for her because she is having problems with her job right now. When Rollins finds out that Kim is the one that robbed Anton (a famous flute player), she tries to take Kim down herself. Considering she tried to do that last time, it likely won’t work out to well for her. She gets teamed up on as her mother gets involved and is trying to help Kim. As it happens last time, Kim just walks away and leaves Rollins (and really all of us) questioning her decision. 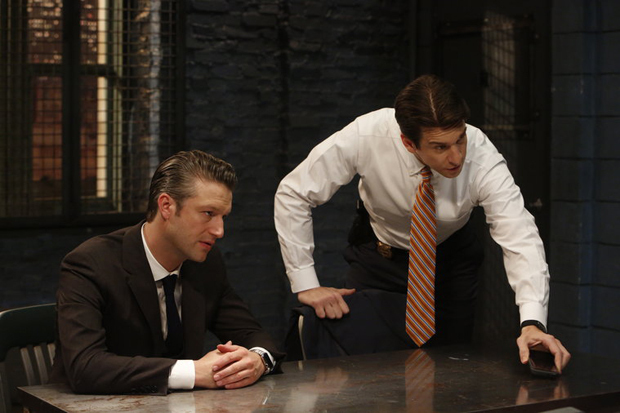 There is already tension brewing between Dodds and Benson as Dodds tries to take control of the case and Benson doesn’t like the way he’s handling things. Dodds doesn’t seem like he likes the fact she is his boss or being told what to do. But he does say he will keep work at work and not bring it home. Let’s see if that’s true. With the help of Rollins’s mother they are able to arrest Kim who of course blames Rollins for getting her caught. She has that younger sibling problem where they always blame their older sibling for anything that goes wrong in their life. Fin helps Rollins out, not only by covering for her with Benson, but by letting her listen in on the questioning. Rollins tries to help Kim but it just stresses her out more because Kim flits her way with the lawyer to get what she wants from him and turns their mother against Rollins. Looks like she is all on her own now. It causes her to a scare with her pregnancy but nothing bad happens to the kid. The stress doesn’t get better as Rollins problems all come out to the DA because the lawyer fell in love with Kim. In the next episode, another show ripped from the headlines in the form of The Duggars as they become the topic on this week’s episode as one of the sisters gets pregnant and it’s by someone that she knows very well. Let’s see how controversial this show is going to be.